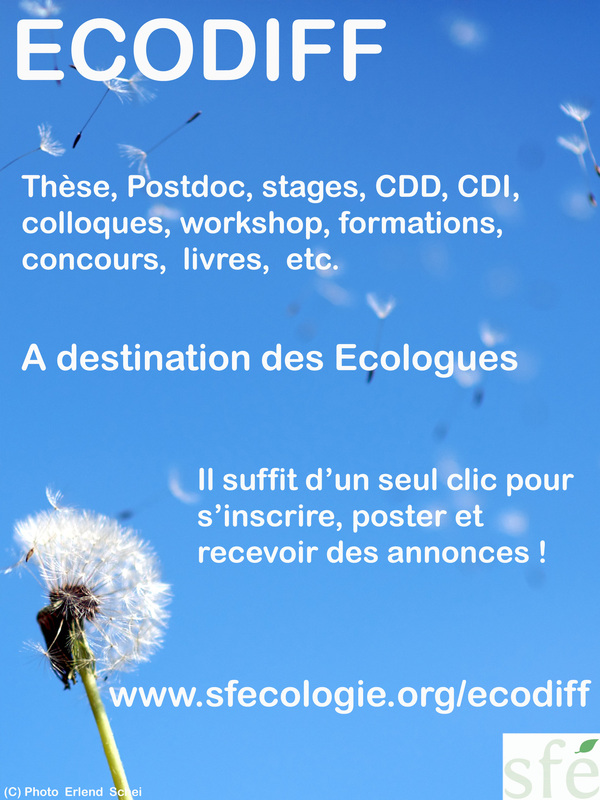 SFEcodiff is a service provided by the French Society for Ecology and Evolution to advertise information directed towards ecologists and evolutionists (grants, job, PhD, master, conference, news, etc.). Initialy made for the french-speaking community, this list is now also available in English. You can easily post and browse posts on our site and you can also subscribe to our mailing list and receive one email per week with the latest posts of the site. The english interface is still in progress and we apologise for the smalls bugs that are still flying around.